Even though they suffered their first defeat last week, the home side still have a 5-1 record and they know that a win in this game will see them through to the Top 16. The fact that they face a side who travel with a 1-5 record and who are still getting used to a new coach should see Unicaja Malaga coming into this game with some confidence. This will be the first time this campaign that Malaga will need to bounce back from a defeat. For that reason alone there will be some people looking in on this game but you would expect Malaga to stand up and take care of qualification business on Thursday night. The Spaniards have been strong up front and in defence, so it is no surprise that they are so close to qualification to the Top 16. Mindaugas Kuzminskas has been in excellent form this campaign while Richard Hendrix will be determined to overcome his former team-mates in style in this game. Can Maccabi find life under a new coach? 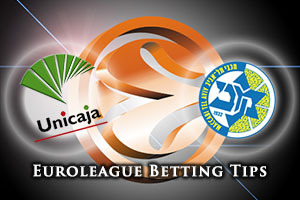 Maccabi have lost three games in a row, which means they come into this game low on confidence but they have to be feeling determined to turn things around. Maccabi have given up far too many points this season, which is why they hold such a poor record. New coach Zan Tabak has now had a full week to work with his squad, so it will be interesting to see if there is any notable change or difference to what Maccabi are able to serve up in this game. Whatever they offer, it is likely that Devin Smith will be at the heart of it all. 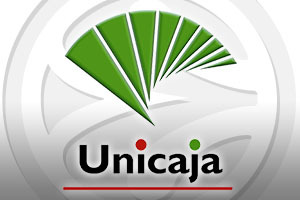 Unicaja Malaga can be found with a handicap of -4.5, at odds of 1.90, which is likely to be a good bet for a team who will be fired up to book their passage to the Top 16. When it comes to the Over/Under market, the terrible defensive record of Maccabi makes you feel that going OVER 156.5 at odds of 1.90 is likely to be a decent bet. Bet Now!